The card comes with no annual fee, unlike similar cards which often charge close to $100 per annum. This card comes with a 14.49% – 21.49%% variable APR, depending on factors like credit score. Who is the SimplyCash® Plus Business Credit Card right for? This card is ideal for small businesses with conventional purchasing needs, like office supplies, internet services, gas, and shipping, as these are spending categories businesses can choose. Since shipping products to customers is a part of many small businesses’ regular operations, this benefit can really add up. Businesses should double-check any small-print to make make sure their spending plans match the card’s incentives before applying. A comparison of popular business credit cards can be found here. For the first nine months, cardholders receive an introductory 0% APR. 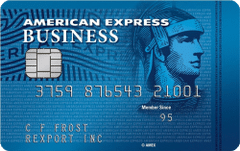 That’s among the more generous introductory periods, with only The Blue Business℠ Plus Credit Card from American Express offering longer at zero APR (fifteen months). This can be a big advantage for small businesses just getting started to avoid interest payments on purchases until they’ve started bringing in revenue and can afford the extra expense. After the first nine months, APR goes up to a variable rate of 14.49%, 19.49%, or 21.49% depending on the applicant’s credit score and other factors at the time the account is opened. These rates are comparable to most other cards focusing on cash back. However, the lack of an annual fee – even after the introductory period – is a meaningful advantage compared to other cards. For businesses that can avoid accruing interest month-to-month, the card will be essentially free. The SimplyCash® Plus Business Credit Card doesn’t operate a points system. Instead, cardholders gain cash back at different rates depending on the spending category. How many travel miles does my money buy? Small businesses after travel miles should look elsewhere. Here’s a comparison piece that outlines and compares the best business credit cards for travel available. US computer technology purchases, included cloud services, software, and hardware (only from selected providers). Most of these features are fairly standard, but the Account Manager and Spend Manager systems are hard to find outside of American Express, and not every provider has an app.